How deep is the connection you have with your employees? If that question isn’t something you ask yourself on a regular basis, you might be missing out on the power of the Law of Connection. If you’re not sure what this might mean for your business, read on. On the Law of Connection, John Maxwell writes, “When it comes to working with people, the heart comes before the head.” Logic will only take you so far—in order to really get people on board with your mission, you need to connect with their emotions. Think about what kinds of leadership speeches you find engaging. Chances are you feel more motivated listening to talks that you connect with on an emotional level rather than one laden with facts and figures. At the end of the day, it’s our passion that will drive home an emotional connection with our employees, not our commitment to statistics. 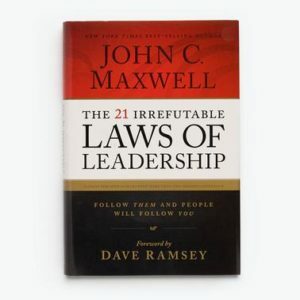 Successful leaders, according to Maxwell, are initiators. They make the effort to build relationships and aren’t afraid to take the first step. Your employees will never forget the leader who made an effort to get to know them even before they’ve even achieved any great accomplishments in their work. 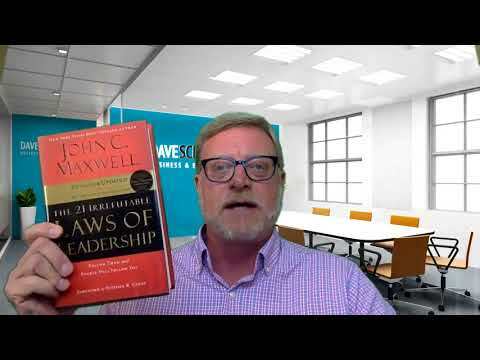 The Law of Connection will be a lot easier if you also have Maxwell’s Law of Magnetism on your side: if your employees already feel drawn to you and have a connection based on similarities, it will be easier to form an emotional connection as well. A big part of the Law of Connection is knowing yourself well enough to understand your own strengths and weaknesses. Ask yourself what your strengths and weaknesses are, how well you relate to others, and how well you communicate with them—and be honest. Ask your friends and family these questions, as well. You can’t connect with others if you don’t know yourself. After that, you need to make it a priority to get to know your employees and to build relationships with them. When you understand what your employees need on an individual level, you increase your ability to lead them towards your own goals. If you spend just a few minutes a day getting to know the people who work for you, it will pay off exponentially in the long run. Finally, focus on improving your communication skills. Maxwell writes that if you rate yourself as anything lower than an 8/10 on your public speaking skills, you have work to do. Take a class, read a book, or join a group that will help you become a better speaker. Communicating your vision is key to forming lasting connections with your employees. Connecting with your employees is one of the most important things you can do as a business owner. If you’re struggling with connecting, fill out my contact form and let’s jump on a complimentary video call about putting the Law of Connection to work for you.